Who’s performing at the Boatshed Markets this Sunday the 14th of December? 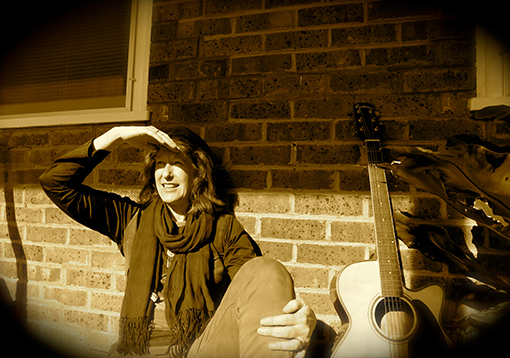 This Sunday the 14th of December, the Boatshed Markets welcomes – Blind George and Dawn Barrington to the stage. Blind George is set to entertain you between 10am and 11.30am and Dawn Barrington between 11.45am and 12.45pm. Blind George ( aka Mark Pemberton) is based in Albany, Western Australia and has been a songwriter, musician and innovative performer for over twenty years. Blind George encompasses a range of musical styles – from traditional fingerstyle guitar – through to reggae and world music and blends these styles through innovative performance techniques that draw on experiences in the entertainment industry as an audio and live production engineer and broadcaster. The combination of rhythms and percussive styles with ragtime, blues, fingerstyle and world music styles brings together a repertoire of material that ranges from re-interpretations of traditional songs through to more original compositions that can only be described as “Café Groove”. Dawn Barrington lives in Denmark WA and she is a solo acoustic act and likes to entertain with an eclectic mix of covers and originals. She plays rhythm guitar and has been likened to artists from the Woodstock era with her melodic 70s vocals. Dawn likes to have fun with her music and there’s always a basket of shakers near her to offer willing participants. Take a break from your busy schedule this weekend and meet your family and friends down at the Boatshed Markets on Sunday. Grab a bite to eat; buy local fresh and gourmet produce; browse talented local artisan stalls; and enjoy wine tastings from our Great Southern while you soak up the relaxed atmosphere and great live music down by the harbour. Images courtesy of Mark Pemberton and Dawn Barrington.